When firing a machine gun, using a tripod is often necessary for stability. However, in particularly tough terrain, even tripods need assistance when providing stability for firearms. In these environments, the AIM Sports M2 M1919 Traversing & Elevation Mount is an essential piece of gear. Designed by the industry-leading engineers at AIM Sports, this mount is designed to sit atop a machine gun trip to add flexibility and nuanced control. Made from high-carbon steel, this innovative mount is as durable as it is functional. 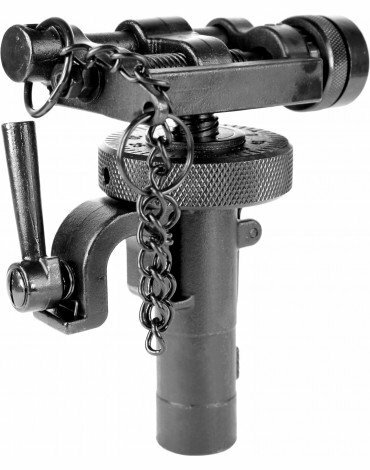 It works with the AIM Sports replica version M2 tripod and other M2 M1919 tripod. Take your machine tripod to the next level - order the AIM Sports M2 M1919 Traversing & Elevation Mount here at Airsoft GI today!